France’s Loire Valley is littered with fairy-tale châteaux, a legacy of the many noble families who settled here because of its strategic riverside setting and proximity to Paris. See below for the most show-stopping castles in the UNESCO World Heritage–listed Loire Valley. Constructed by François I in the early 16th century on the site of a much more modest hunting lodge, this 440-room château is one of the biggest and most spectacular in France, offering curious visitors a glimpse into the extravagant lifestyle of French aristocrats of old. This riverside castle showcases the progression of architectural trends through different epochs in its four distinct wings, which span the 13th to 17th centuries. Having played host to seven French kings, it has a storied history, as well as as an impressive on-site fine arts museum. This iconic château is immediately recognizable by its arched bridge, which crosses the Cher River. Some of Europe’s most famous royal faces, including Diane de Poitiers, Mary Queen of Scots, and Catherine de Médici, have connections to the site. While many Loire Valley châteaux have been dramatically altered and redecorated over the years, this elegant classical-style mansion has barely changed since its early 17th-century construction. The Hurault family, who have owned it for centuries, have preserved a sumptuous style of the interior, which still features original period furnishings. This 15th-century mansion is famous for having played host to Renaissance master Leonardo da Vinci, who resided here from 1516 until his death in 1519. See where da Vinci worked, ate, and slept, and examine models of his groundbreaking inventions. Connected to Château de Clos Lucé by an underground tunnel, this royal retreat is said to house Leonardo da Vinci’s remains. Its elevated position affords wonderful views of the town and the river. Though it’s not the biggest or grandest in the valley, this Renaissance-style gray stone castle is certainly eye-catching, set on an island on the Indre River. From a distance, it almost appears to float on the water. A favorite of occasional guest Honoré de Balzac, it is also known for its grand central staircase and its collection of 16th- and 17th-century Flemish tapestries. Visit two of the most renowned castles in the Loire Valley—aka French château country—on a day trip from Tours. Château de Chenonceau and Château de Chambord are known for their Renaissance architecture and picturesque riverside settings. With a knowledgeable guide, enjoy views from little-known panoramic spots, and hear historical details and amusing anecdotes about the French kings and other nobles who have lived here. As a bonus, enjoy a relaxing lunch away from the crowds at a private, family-owned château. Immerse yourself in the idyllic scenery and fine wines of the Loire Valley on this full-day small-group tour from Tours, France. 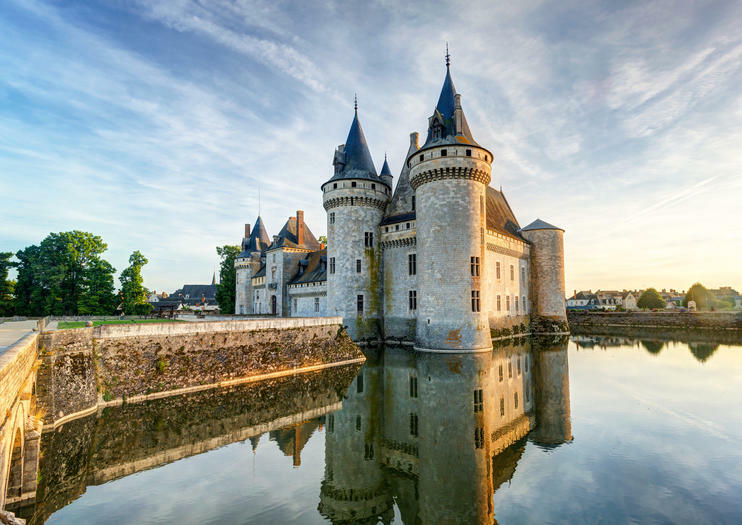 Explore three of the Loire Valley’s fairytale castles – admire the architectural wonders of Blois, see Leonardo da Vinci’s stairwell at Chambord and discover the legacy of Tin Tin at Cheverny. Along the way, stop to sample fine Cheverny wines and enjoy a delicious lunch at a local restaurant. The UNESCO-listed landscapes of the Loire Valley are home to some of France’s most magnificent chateaux and this full-day tour from Amboise visits two in one day. Marvel at the Renaissance architecture and beautiful gardens of the Château de Chambord; enjoy a delicious lunch (included) at a château restaurant; then visit the fairy-tale Château de Chenonceau. Save time in the stunning Loire Valley with pre-booked admission tickets to the Royal Chateau of Amboise. Get guaranteed direct access to the most legendary castle in the Loire Valley region, the palatial estate of French monarchs through the 15th to 19th centuries. Follow the footsteps of once mighty kings through terraced gardens and opulent chambers. Learn about illustrious guests like Anne Boleyn and Leonard da Vinci, whose tomb is onsite. Explore the Loire Valley, a UNESCO World Heritage site, and visit the region’s most famous castles on this private day trip from Paris. Traveling in a luxury minivan with your own personal guide, you’ll visit your choice of châteaux, including Chenonceau, Villandry, Langeais and Chambord. Plus, you’ll enjoy lunch at Château de Langeais park or in a postcard-perfect, 18th-century inn. Receive the personalized attention of your private guide throughout. The Chateau d'Azay le Rideau is one of the most beautiful of the Loire Valley castles, but it can get crowded in peak season. Ensure instant access with a pre-paid skip-the-line ticket and enjoy a self-guided tour of the magnificent Renaissance castle, which dates back to the 16th century. Discover one of the hidden gems of the Loire Valley when you book tickets to the Royal Domain of Château Gaillard. Commissioned by King Charles VIII in the 15th century, this chateau is known for its Italianate inspiration, and for its sprawling gardens, which were planted with the first orange trees in France. Book tickets to secure your admission to the picturesque landmark; entry also includes a free guided tour (offered in French). Set amid the beautiful countryside of Touraine, the Château du Rivau is one of the Loire Valley’s most unique castles and a masterpiece of medieval and Renaissance architecture. This admission ticket offers flexible entrance, so you can explore the chateau at time and pace that suits you, and includes access to both the castle interiors and the stunning gardens.